–The financialization higher education and neo-liberalization of public institutions. –The current state of investment practices at Michigan State University that includes investing in private equity firms and hedge funds. –Alternative methods of investment such as Socially Responsible Investments. 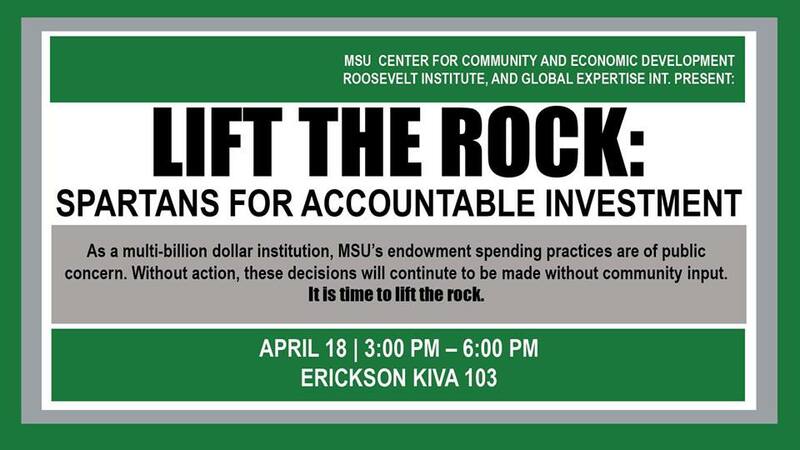 We seek to ‘Lift the rock” on MSU’s investment practices and propose ways to change investments practices so that they align with the ethos of a public institution.